Tell someone you're going hiking in Israel and they'll say, "There's hiking in Israel? Is it safe?" Yes and yes. If you're hankering for an unusual destination to explore on foot, Israel is just the spot. Thousands of miles of trails crisscross this tiny Middle Eastern country—which is barely bigger than New Jersey—with many long-distance routes you can explore for a week or more. Expect a fascinating glimpse into religious and cultural history, plus a heaping helping of gorgeous scenery. Pick a region, or tackle the entire length of Israel from the Lebanese border to the Red Sea. 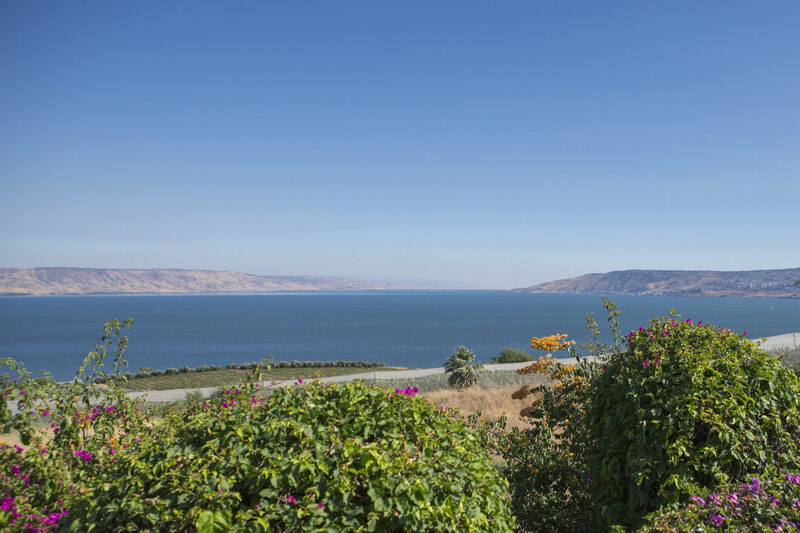 Pack sandals and a loaf of bread for a spiritual journey along the Jesus Trail, which stretches for nearly 40 miles along the route that Jesus may have walked from his childhood home in Nazareth to Capernaum on the Sea of Galilee, where he delivered many sermons. Traversing the Lower Galilee region in northern Israel, the trail passes through some of the country's most verdant landscapes with rolling hills, fruit orchards, and fertile farmland. The one-way route takes about four days, or you can double it and do a loop that returns over 1,800-foot Mount Tabor. Time your journey for spring to bask in blooming hillsides. Camping is optional as there are plenty of places to stay along the way. 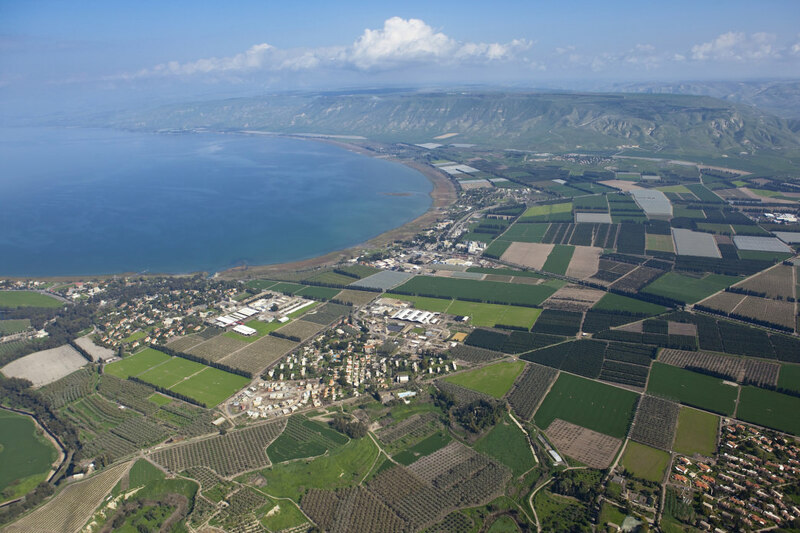 The Sea to Sea Trail winds 40 miles through Upper Galilee, starting north of Nagaria on the Mediterranean Sea and traversing to Tiberias on the Sea of Galilee. This four-to five-day route is popular with Israelis. A highlight is the climb over Mount Meron, which stands at nearly 4,000 feet—one of Israel's highest peaks. Also worth a stop is the ancient city of Safed (Tsfat), the site of a 1948 civil war and a center of Jewish mysticism (remember Madonna's fascination with Kabbalah?). Hoof it to the hilltop Citadel, then wander through the winding cobblestone alleys of the Synagogue and Artists' quarters. Route finding along the Sea to Sea Trail can be confusing, so consider hiring a guide. 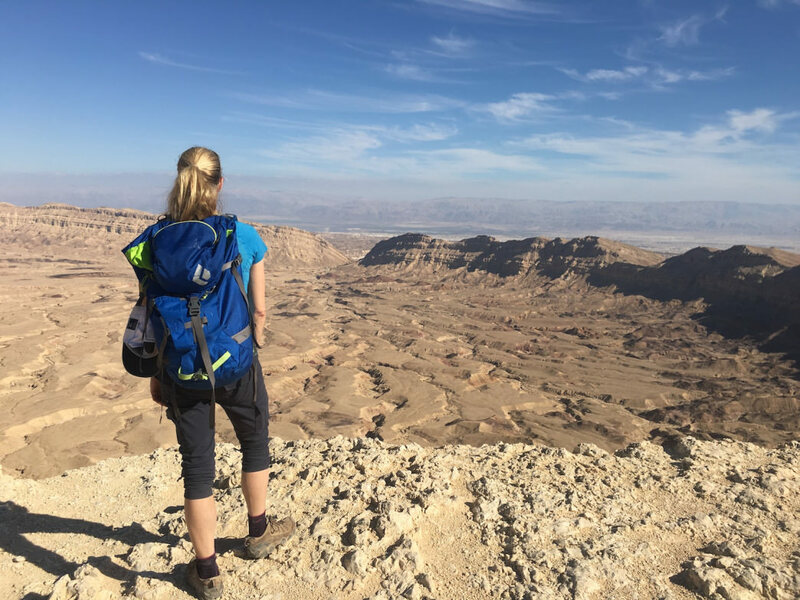 The Negev Highland Trail is a 52-mile trek that hits the best of the Negev Desert in six days, starting from Merhav Am, traversing through the Zim valley, past the towering Zinim cliffs, and alongside lush oases. Following ancient camel routes, the trail stops at Jewish kibbutzim and Bedouin communities along the way and includes homestays, where you sleep in Bedouin tents. 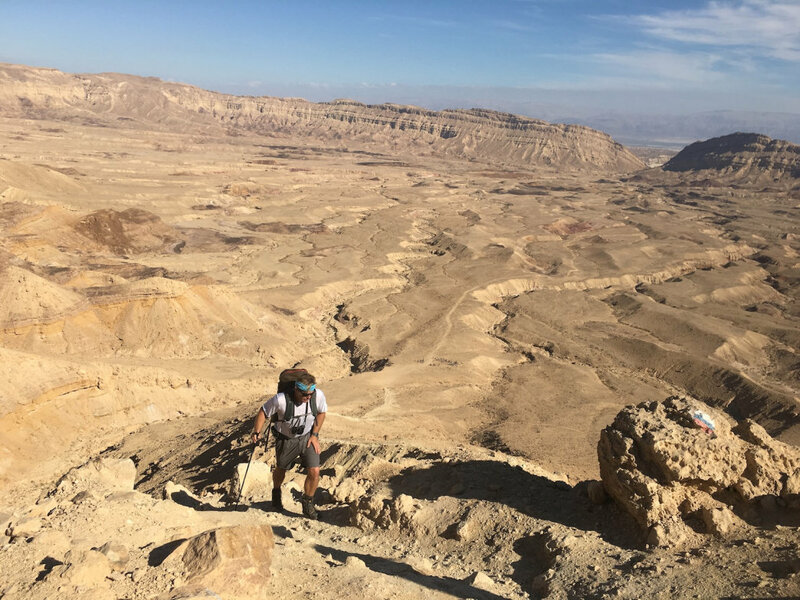 The final day starts on the rim of Maktesh Ramon (a huge crater) and descends switchbacks through millions of years of layered geological history before ending at Beerot Campground. 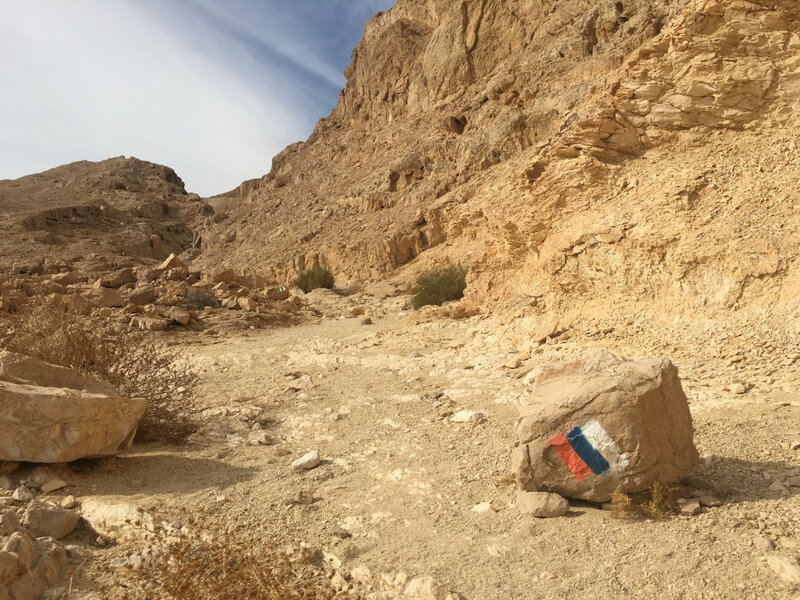 The Israel National Trail is the mack daddy route, traversing the full length of Israel—620 miles from the green mountains of the north through the Negev Desert and ending in Eilat on the Red Sea. Hike the whole thing and it will take a couple of months. Or check in for a week or two. The trail passes many significant historical and religious sites and immerses hikers into a natural landscape that is as beautiful as it is diverse. From the lush mountains of Mt. Meron to the Sea of Galilee and through the moonlike landscape of the Negev Desert, this trail wends its way to the shimmering waters of the Red Sea. A side trip for a float in the salty waters of the Dead Sea is a must-do. Lodging is a mixture of hotels, camping, and staying with "Trail Angels," local volunteers who host trekkers in their homes and provide water stashes in the desert. Many Israelis complete the Israel National Trail (either all at once or knocking off a section each year) as a rite of passage. Travelers can take a do-it-yourself approach or sign up for a guided tour. Thru hikers should head south to north if starting in the spring, or start from the north in the fall. For all the beta, check out the Israel National Trail guidebook and forum.